Providing you the best range of fire proximity suits, aluminised fire entry suit, chemical suit and arc flash suit with effective & timely delivery. We are instrumental in offering an extensive range of optimum quality Fire Proximity Suits to our valuable customers. 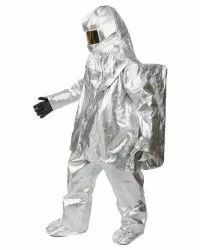 Manufactured as per the industry set standards, these suits are used to protect firefighters from extreme temperature conditions. These suits undergo various quality assurance procedures conducted by our team of quality controllers in order to ensure a defect-free range. Under the able guidance of experienced and skilled professionals, we have been able to offer high quality Chemical Suit to our valuable customers. 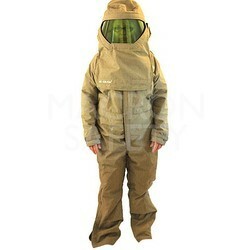 The offered chemical suits are manufactured from poly-ethylene coated fabrics, which are procured from authorized vendors. With our wide distribution network, we have been able to deliver these suits within the promised time frame at the customers’ end. Usage Protection from arc flash heat exposures thermal hazards of electric arc flashes. Looking for Safety Suits ?